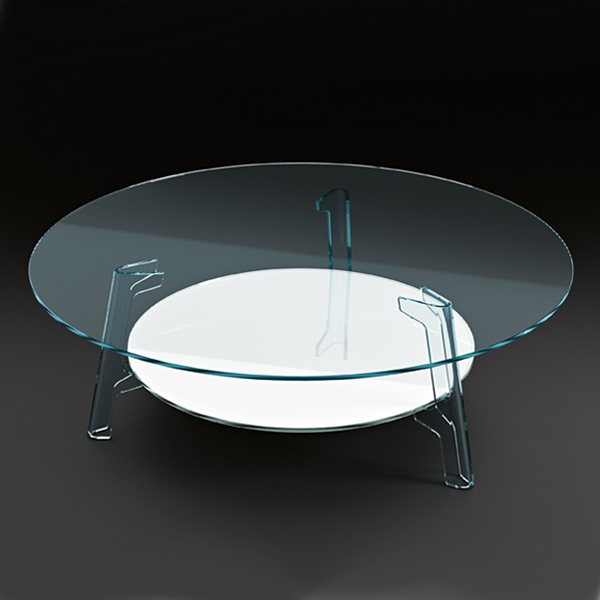 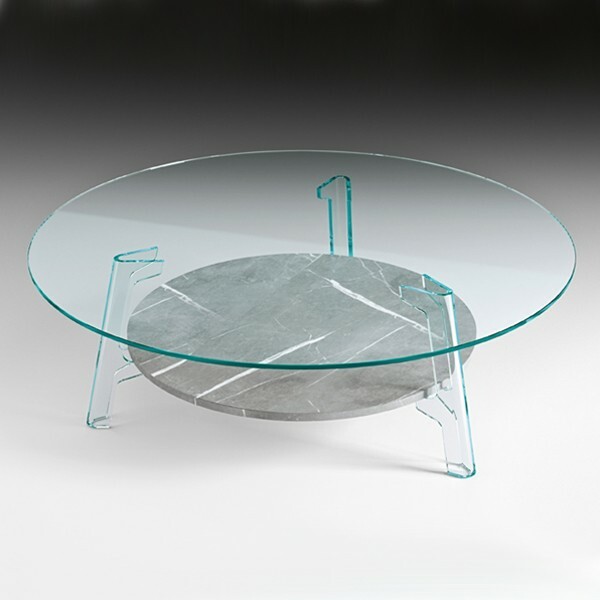 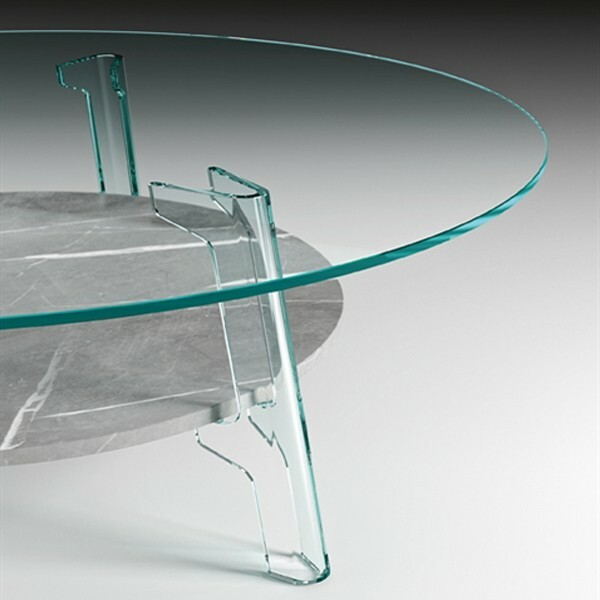 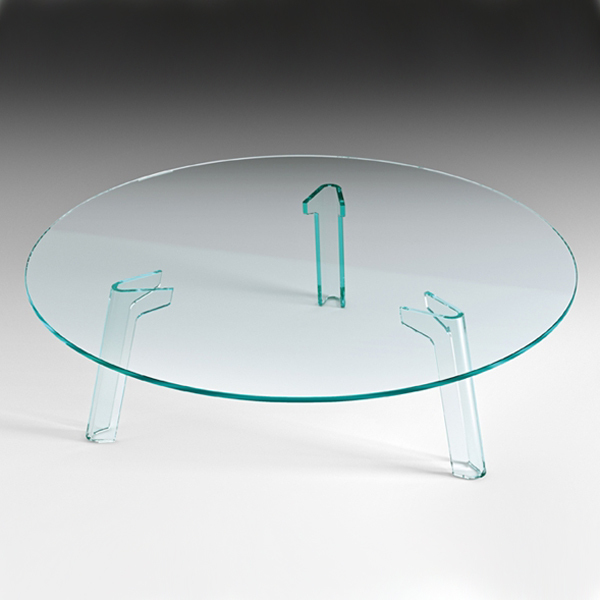 A round coffee table in 10mm thick extra clear glass with 3 curved extra clear glass legs and a glass, wood or marble shelf. 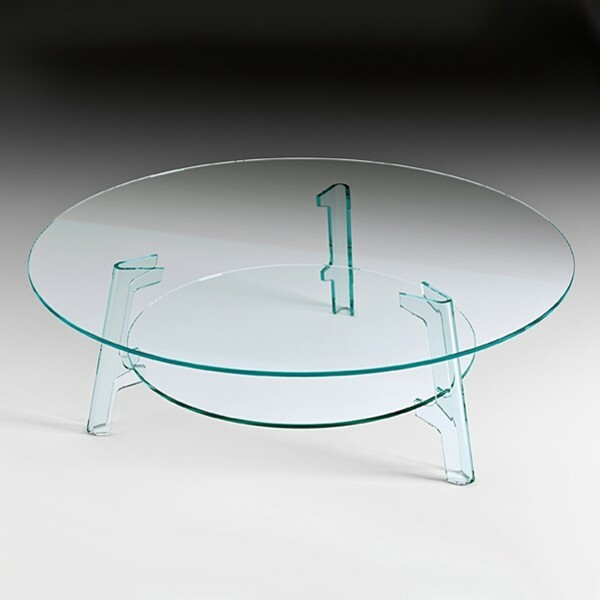 A shorter version without a shelf is also available. 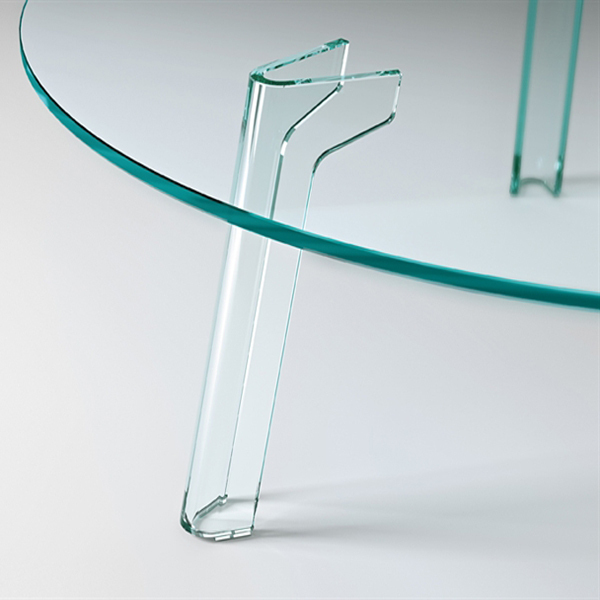 The legs are bonded to the table top. 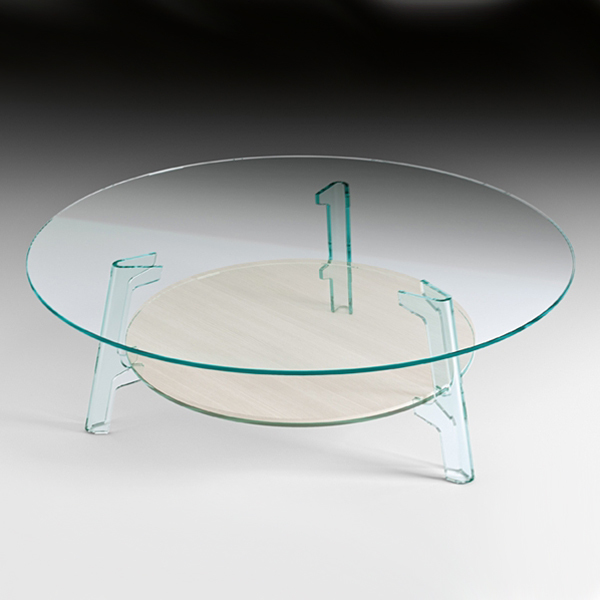 Load capacity: top 20kgs (44lbs), shelf 10kgs (22lbs).